In this final language-themed Black History Month article, I want to reflect on my first close encounter with American colloquial English by way of Malcolm X, the fiery African-American civil and human rights activist whose supreme oratorical genius held Americans spellbound for nearly two decades. 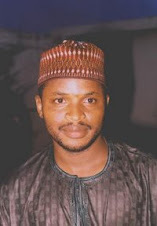 When I was an undergraduate at Bayero University in Kano, I was a student union activist. Part of the unwritten rules of student union activism during my time was a commitment to memorizing speeches and passages from the icons of revolutionary theory and praxis—Karl Marx, Vladimir Lenin, Leon Trotsky, Ernesto “Che” Gwevara, Malcolm X, Martin Luther King Jr., etc. In my second year in the university, a man by the name of Ibrahim Ali (whom we called Ib’s) introduced me to Malcolm X’s speeches. He had scores of audio tapes of Malcolm X’s speeches from the early 1950s when he came on the American political scene to the late 1960s when he was assassinated. Ibrahim’s older brothers, who were fans of Malcolm X and students of America’s civil rights struggles, gave him the tapes. But as a student of language, the tapes had a dual appeal for me: they not only stirred revolutionary consciousness in me (although I often found some of Malcolm X’s earlier blanket anti-white racism unacceptable since I found it contrary to the Trotskyist proletarian internationalism that I had subscribed to), they also provided me an introduction to American colloquial English. I learned more informal American English expressions from Malcolm X’s speeches than I did from the Voice of America, which I regularly listened to. That’s a lot of “catching hell.” As you can see, “catch hell” appears in every sentence in the excerpt. I recall thinking: what the hell does “catch hell” mean? Its persistent recurrence in Malcolm X’s other speeches provoked my curiosity about its meaning. From the context of its usage, I guessed that it meant “suffer a terrible fate.” I later learned that it actually means to reprimand someone severely, as in “I will catch hell from my father if I fail my exams.” Malcolm X’s use of “catch hell” in the quoted passage—and in his other speeches that I’d memorized— is certainly more intense than a mere reprimand. The phrase isn’t often used in such morbid contexts, though. It can also mean having no debt at all (as in: “I’ve paid you back all the money I owed you, so we’re now even-steven”) or having the same score in a game. According to Richard A. Spears’s Dictionary of American Slang and Colloquial Expressions, “even-steven” is a rhyming compound that emerged between 1865 and 1870 in American English. I learned a few things from that quote. One, I learned that “hog” is another word for “pig.” It’s amazing how many words the English language has for pig: hog, swine, grunter, squealer, boar, Sus scrofa, etc. Most other domestic animals have just one name. Well, I also learned that “chitlins” means the intestines of a pig, which American blacks ate as food during slavery because it was one of the only few sources of protein available to them. Several decades after slavery, chitlins (also spelled chitlings and chitterlings) are an African-American delicacy. 4. “Chump.” In his “The Ballot or the Bullet” speech on April 3, 1964, Malcolm X said the black man in America was “a chump, a political chump,” for voting white Democrats in Congress and naively expecting them to pass civil rights legislation to favor black people. It turned out that he was wrong on that one. White Democrats did pass the Civil Rights Act that radically improved the lot of American Blacks. A chump, I later learned, is a stupid, gullible person. The word is used in exactly the same way that Nigerian Pidgin English speakers, especially 419 scam artists, use “mugu” or “maga,” that is, a credulous moron. The Online Etymology Dictionary says the use of “chump” to mean "blockhead" first appeared in American English in 1883. Before then, the word used to mean a "short, thick lump of wood." 5. Uppity. 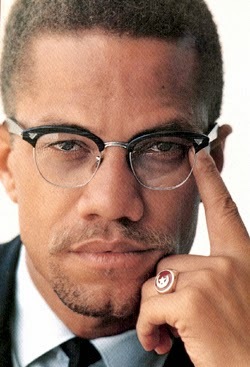 In several of Malcolm X’s speeches, especially his autobiographical speeches, he often talked about racists referring to intelligent black people as “uppity niggers.” Uppity is a colloquial American English word for “arrogant,” “rebelliously self-assertive,” “snobbish,” etc. The Online Etymology Dictionary says the word was first used by American blacks to describe other blacks they considered overly self-assertive, kind of like “bourgie” in contemporary African-American English. I certainly learned a lot more conversational American English expressions from listening to Malcolm’s speeches than the five expressions I identified above. I learned many homespun witticisms and turns of phrases from Malcolm that I don’t have space to write about here. It was also through Malcolm X that I first became familiar with African-American Vernacular English, which I hope to write about in more detail in due course. I should point out this article isn’t by any means an endorsement of Malcolm X’s philosophy; it’s just my recollection of how listening to his speeches introduced me to informal American English when I was a teenager in the university.